One of the toughest decisions a family has to make, is to entrust the care of their loved one to someone else. 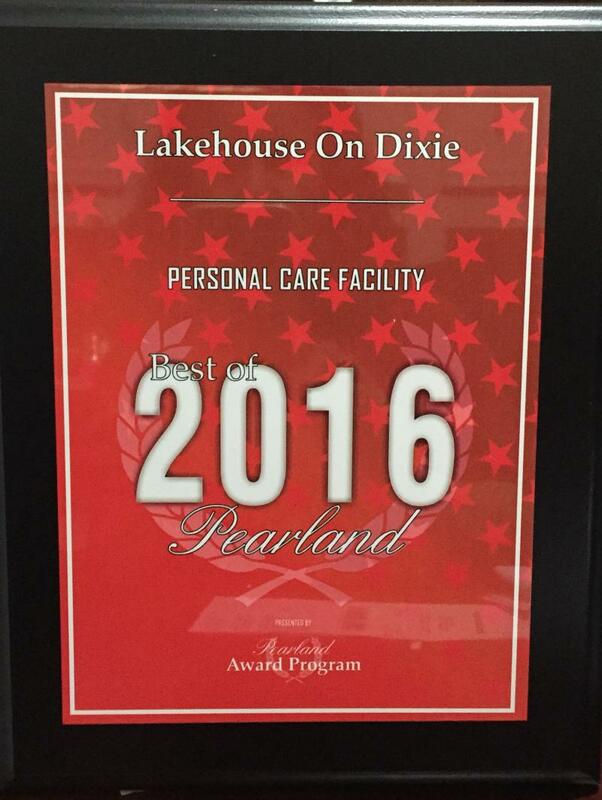 We offer LAKEHOUSE ON DIXIE as the solution. Our peaceful state licensed personal care home is located on 10 beautiful acres in Pearland. We are a small type B family owned and operated assisted living home. Sitting in the middle of the property, is our spring fed lake that is home to birds, turtles and many other wildlife. We offer restful country living in the city. Our house is a bright, sunny home with many windows and views to the lake. All the bedrooms are light filled and have views to the outside.The closest major hospital, shopping and restaurants are less than 10 minutes away. We take care of the needs of your family member and help them to enjoy their surroundings. 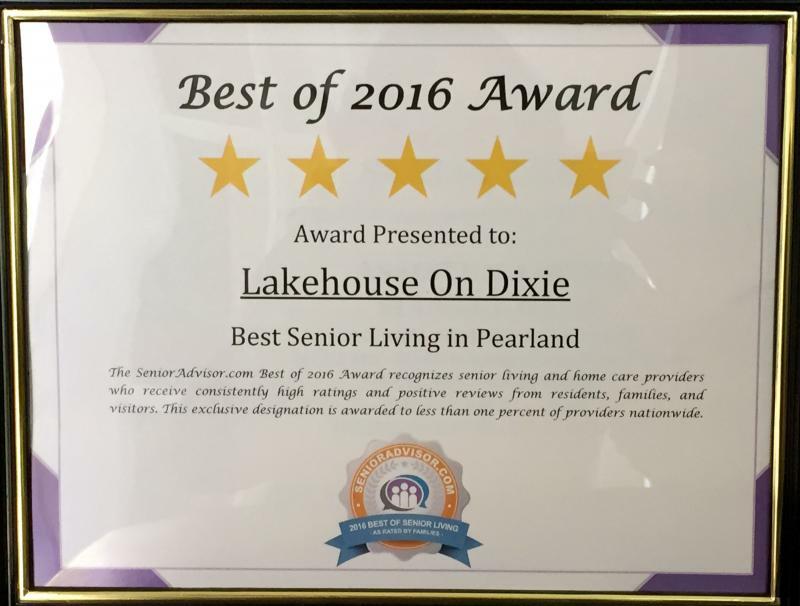 With a high staff to resident ratio, you can be assured that your loved one is well taken care of at LAKEHOUSE ON DIXIE. We pride ourselves on the personal attention we provide to each resident. Please contact us. We would love to schedule a tour for you.